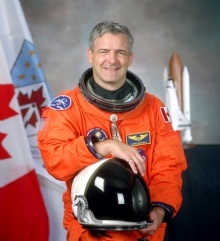 "Canada has made a strong commitment as a partner in the International Space Station and, like the other partners, wishes to see the assembly of this unique orbiting laboratory continue"
This quote is written / told by Marc Garneau somewhere between February 23, 1949 and today. He was a famous Astronaut from Canada. The author also have 17 other quotes.